Rydges Esplanade Resort Cairns offers conference and event venues that can cater to groups as small as 10 and as large as 350. Whatever your event, Rydges Esplanade Resort Cairns is bound to have a space just perfect for your next meeting or event. Offering an abundance of natural light and with plenty of breakout space available, our conference venues will ensure your meeting will be a success on Rydges Esplanade's Level One conferencing floor. Rydges Esplanade Resort Cairns cater for all styles of events – formal, casual, cocktail, indoors, outdoors, poolside – whatever you like! The Alfresco Bar and Terrace provides a perfect setting with your own private bar on Level One overlooking the pool, the tropical gardens and the Cairns Esplanade – also an ideal location for post-conference drinks and socialising! 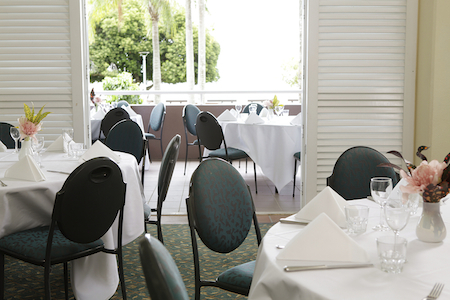 Rydges Esplanade Resort Cairns offers a romantic setting for your special day. From the elegance of the Crystal Twig room with its abundance of natural light to a poolside tropical wedding, we have a choice of unique venues to choose from. Our wedding venues can be transformed with individual theming to suit your taste. We have a selection of catering packages available for meetings and events.